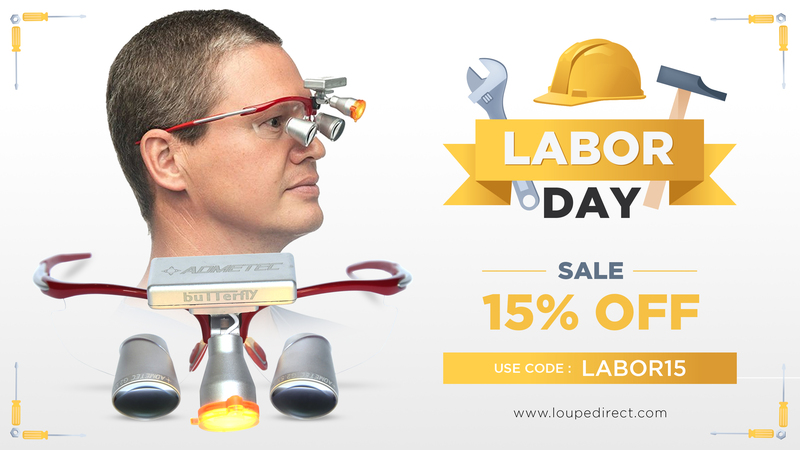 Buy loupes with confidence. Learn exactly what to look for when shopping for your new loupes.Our high quality and affordable loupes have a life-time warranty. 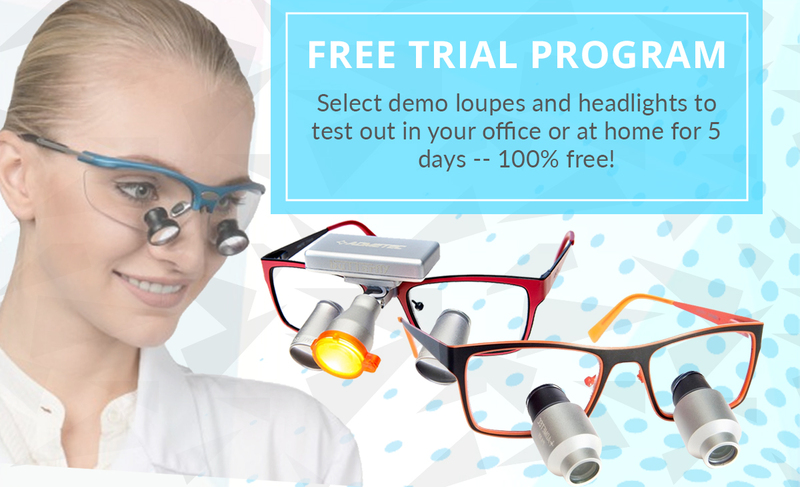 In addition, we offer 30 day-money back guarantee on new loupes. There are really no risks! The depth of field or depth of view is the range of focus or the depth of the area that is visible when working with the magnifying loupe. It is the measurement of how far or how near you can lean in or out but still be able to clearly see the target area. As a rule of thumb, for a deeper area of visibility, choose the one with a larger depth of view. In addition, the size of the depth of view or depth of field is directly associated with both the working distance and the magnification factor. In other words, the larger the depth of field is, the longer the working distance will be, and vice versa. Likewise, the larger the depth of field is, the lower the magnification factor will be and vice versa. 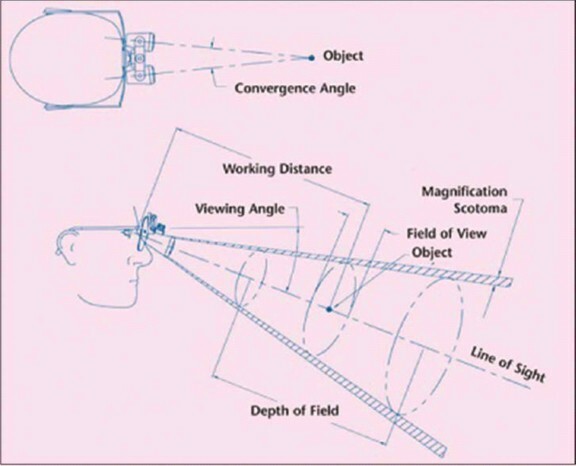 The field of view, also known as the width of field, is the size of the image or the diameter of the field of the target area when using the loupes. The field of view is directly associated with the working distance, depth of field, and magnification factor. Dental loupes with a wider field of view have a greater depth of field and a longer working distance. 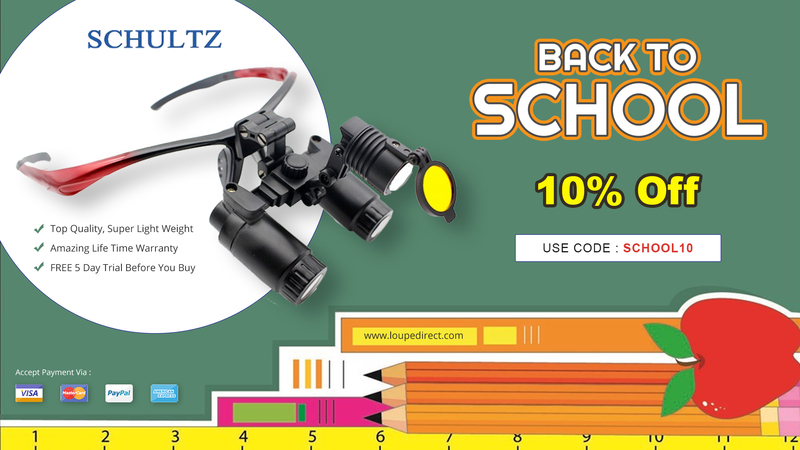 While those loupes with a narrower field of view have a higher magnification factor. Weight is another important factor to consider when buying loupes. You will typically use the loupes a couple of times every a day, from a few seconds to an hour or more at a time. It is important to choose loupes that are comfortable and that don't feel heavy. 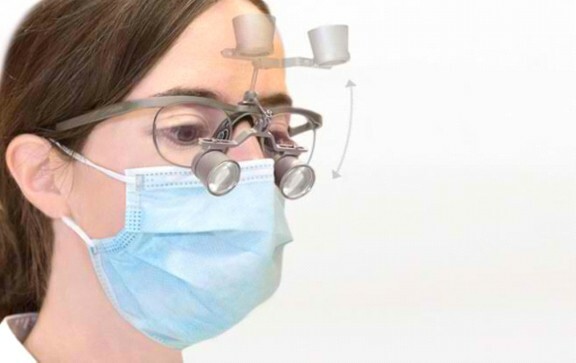 Dental loupes are manufactured with a variety of working distances. 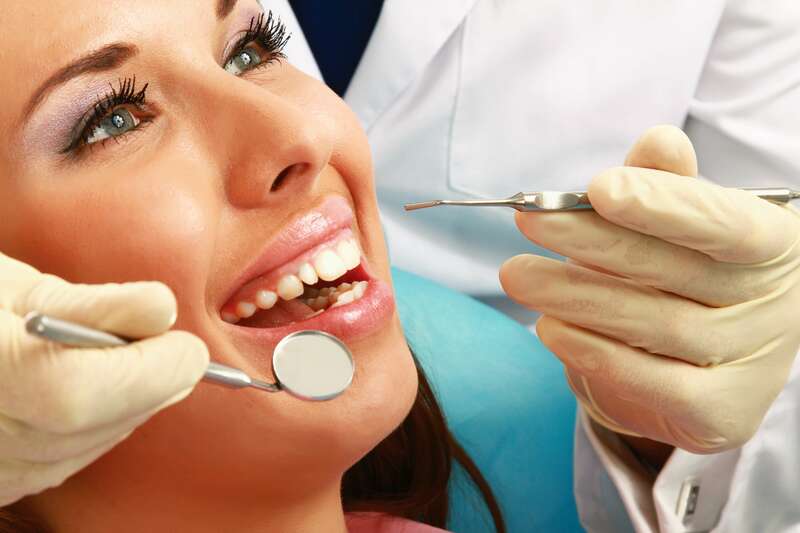 The working distance is the distance between the eyes of the user and the mouth of the patient. 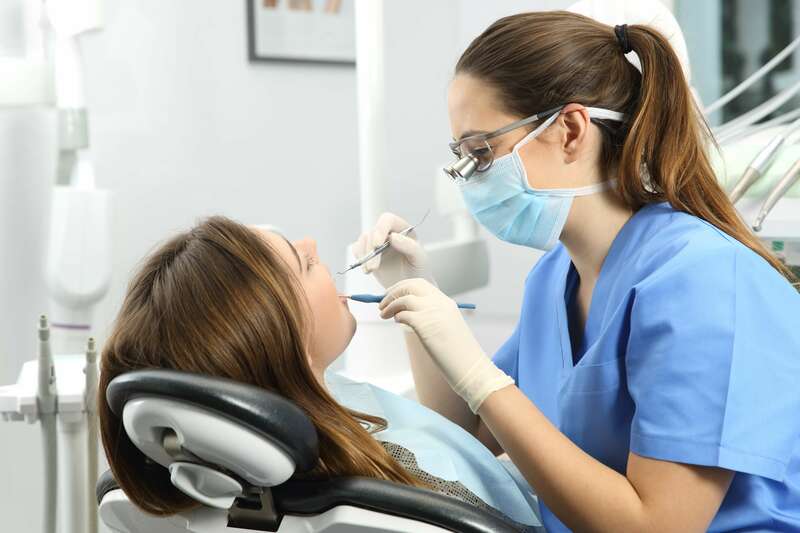 Choosing the right working distance will allow you to work on any dental procedures comfortably and in an upright position regardless of whether you are sitting or standing. The right working distance will also help reduce muscular pains like a backache, shoulder stress, and neck pain which you normally experience when working for extended periods of time in an uncomfortable position because you have to lean in to better see your focused area. To get your working distance, find your comfortable working position while standing or sitting straight in an upright position, and then slightly bend your head down. Measure the distance between your eyes and the opening of the mouth or the lower bridge of the nose of your patient. 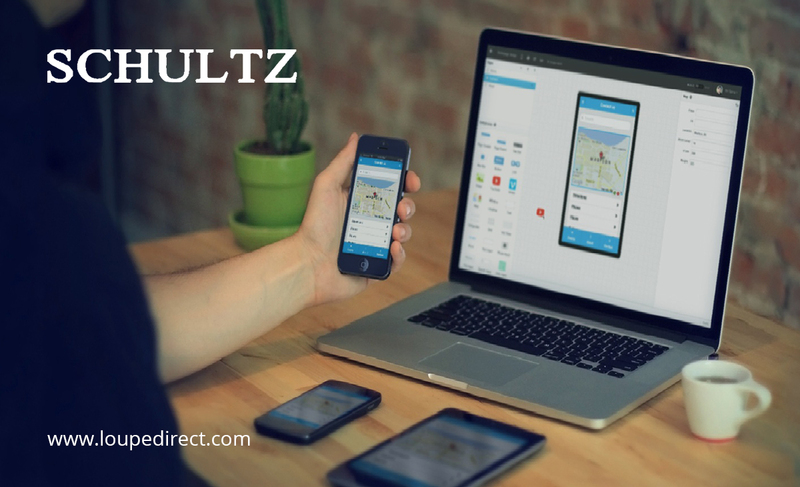 This measurement will be your working distance. - For someone whose height is 5'7" or 170 cm, the standard working distances are 340 mm or 14 inches when in sitting position and 420 mm or 16 inches when in a standing position. 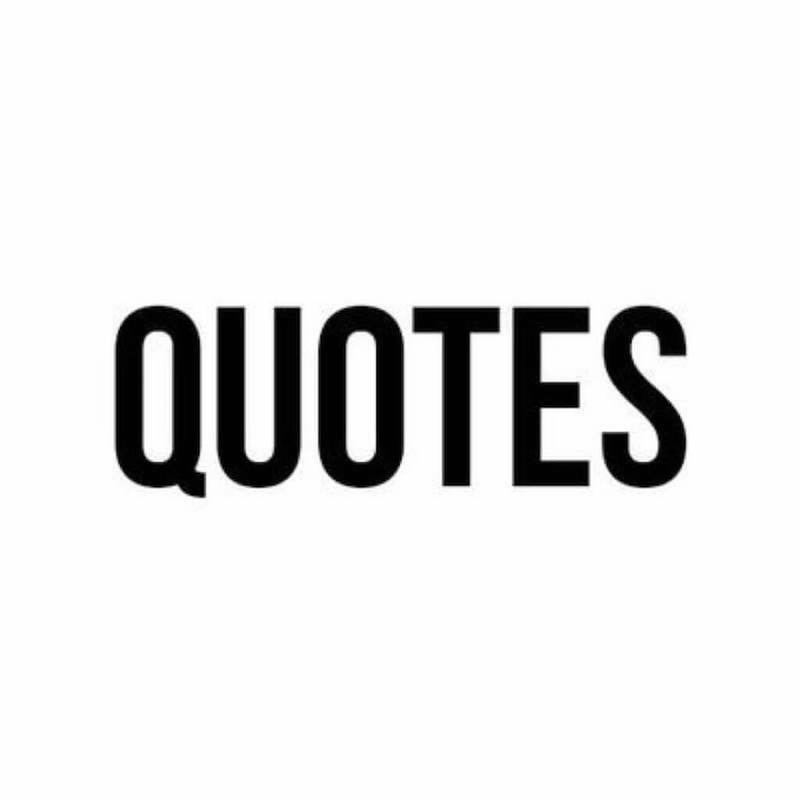 - For someone whose height is 5' 7" to 6' 4" or 170-190 cm, the standard working distances are 420 mm mm or 16 inches when in sitting position and 500 mm or 20 inches when in a standing position. 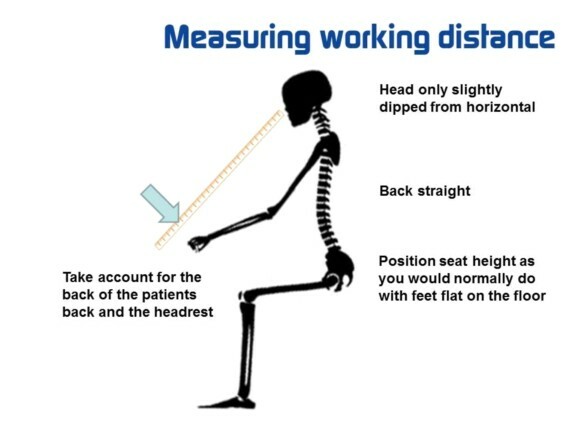 - For someone whose height is over 6' 4" or 190 cm, the standard working distances are 500 mm or 20 inches when in sitting position and 550 mm or 22 inches when in a standing position. 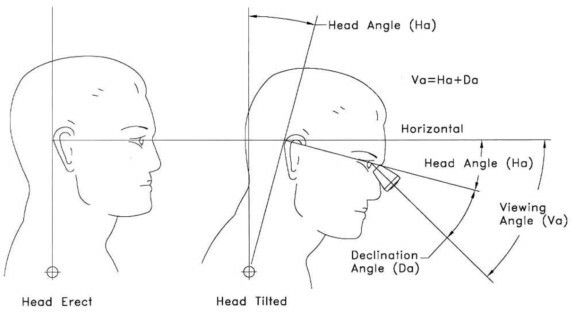 The angle of declination is the angle that the eyes of the dental loupe user are inclined downward towards the patient's mouth or the work area. In order to attain a comfortable and upright working position, you must pick the loupe with a steep angle of declination. 20 degrees or less angle of declination is preferred as it allows minimal forward head posture. The type and design of loupes will greatly depend on your own preference. Currently, the two basic types of loupes are the flip-up loupes and the through the lens or TTL loupes. Each of these loupes has its own pros and cons. The flip up loupe has optical barrels that are attached to the carrier lens and frame through an adjustable hinge while the TTL loupe has optical barrels that are directly drilled into the carrier lens. 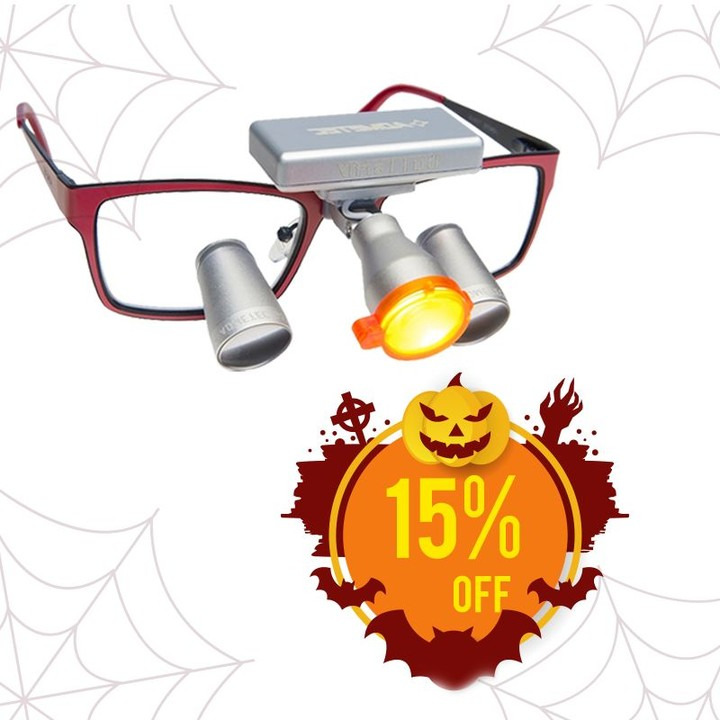 The TTL loupes are famous among dentists who put more priority on weight, comfort, and field of view over convenience and price. TTL loupes offer lesser weight, and wider field of view but they are a bit more expensive than the flip up loupes. Resolution is the ability of the optical lens to form distinguishable images of objects that are separated by small spaces or distances. 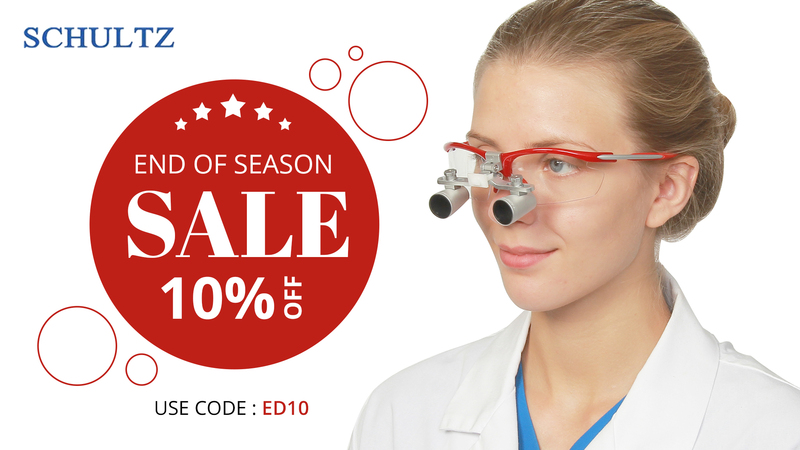 For dental optical loupes, higher resolution is recommended as it allows you to see your work area in fine detail. Although selecting the magnification level is based largely on personal preferences, there are a few important guidelines that you need to keep in mind in order for you to find the perfect choice for your specific needs. 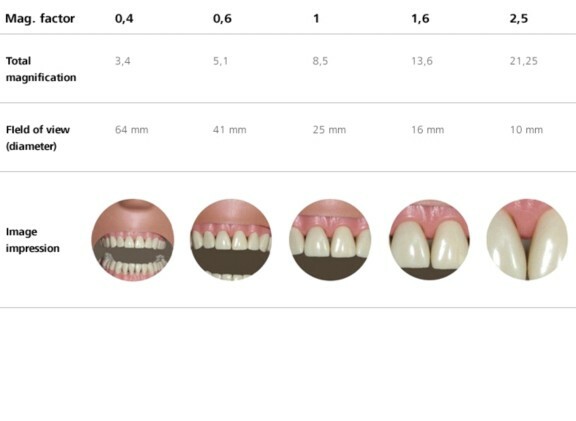 Magnification levels for dental optical loupes vary from 2.5x to 6.0x. The learning curve when it comes to using the loupes become more challenging as the magnification level increases. If it is your first time to use a dental loupe for your daily practice, it is better to choose the one with the lowest magnification power. This way, it won't be too difficult for your eyes to adjust to magnified images and for you to get used to using the loupe. Once you get accustomed to using dental loupes, and you think that the current magnification level is not enough for you to carry out complicated dental procedures more precisely and accurately, you can then try to upgrade your loupe into higher magnification levels. 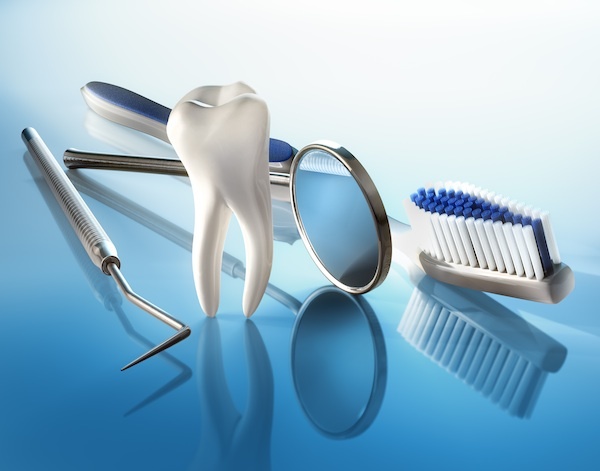 Not all dental procedures require the same level of magnification. It is important that you identify ahead of time how you are going to use the dental magnifying loupe. 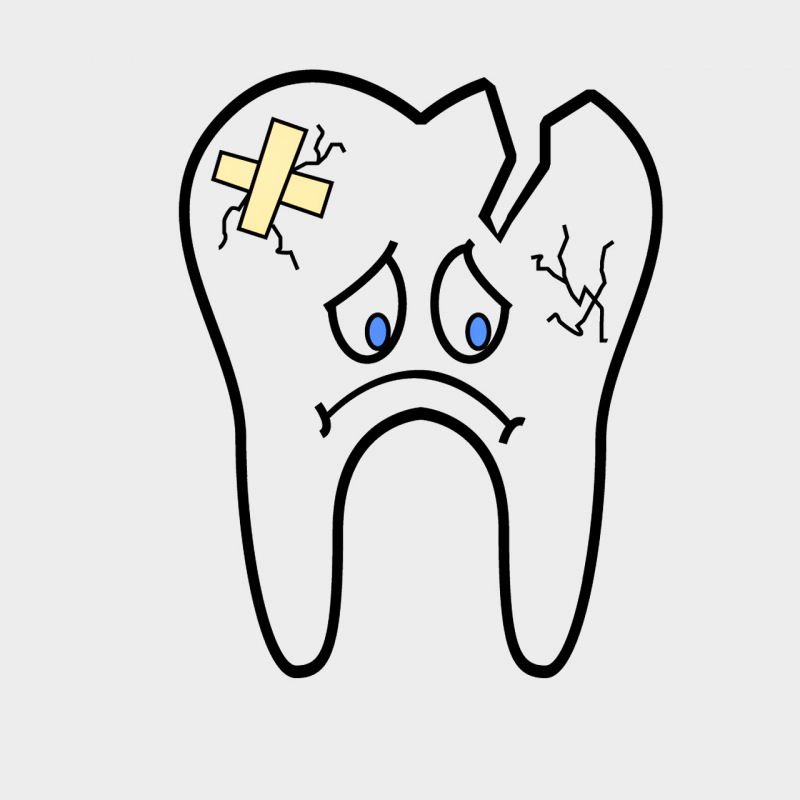 Picking the magnification level will also depend on the dental field. 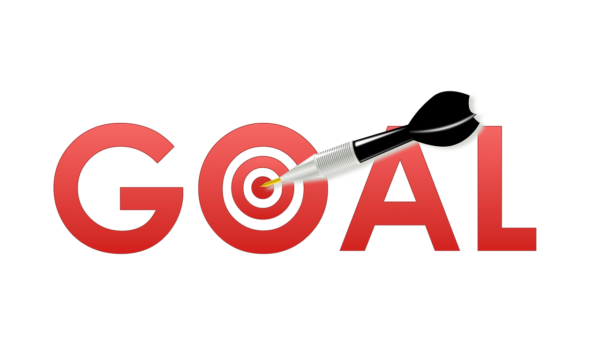 For implantology, specialty magnification general dentistry, and dental hygiene, a 2.5x, 3.0x, or 3.5x magnification level is enough. 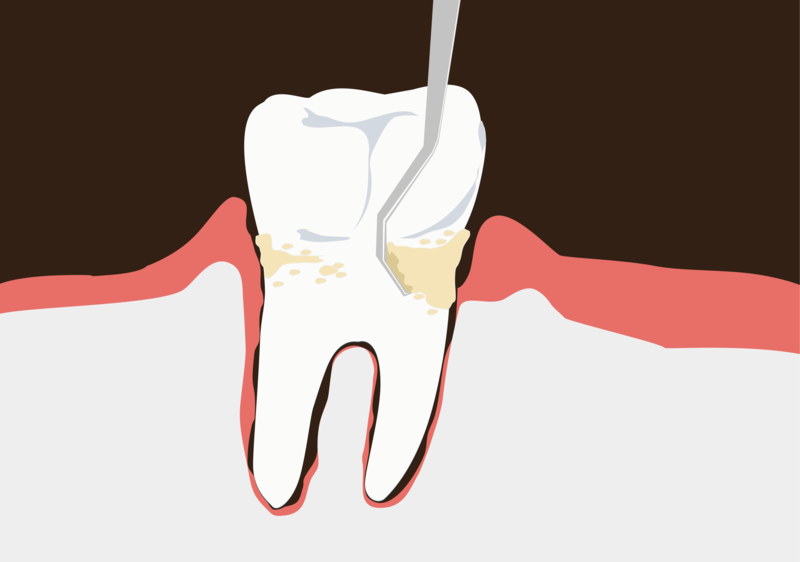 For endodontics, bridge and crown work, you can choose 3.5x or 4.0x magnification level. For dental technicians and those who will use loupes for lab work, the best magnification levels are 4.0x, 5.0x, and 6.0x. Also keep in mind that the magnification level will directly affect other factors such as the field of view, depth of view, and working distance. The lower the magnification power is, the wider the field of view will be. 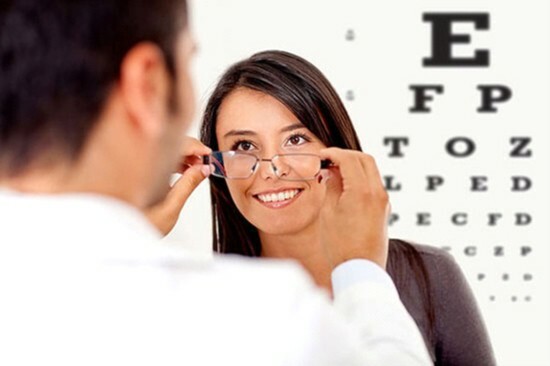 If you wear prescription lenses, the best option is to pick flip up loupes, unless otherwise, you use a contact lens. It is easier to change the prescription lenses in a flip-up loupe than in a TTL loupe. Since the optical barrels of TTL loupes are directly drilled into the carrier lenses, changing the prescription glasses would mean doing the customization all over again, which can be quite time-consuming and expensive. For maximum performance and to correctly integrate all prescription considerations into the lenses during the customization process, it is recommended that you get your eyes tested first before ordering the loupe most especially if you choose the TTL loupes. 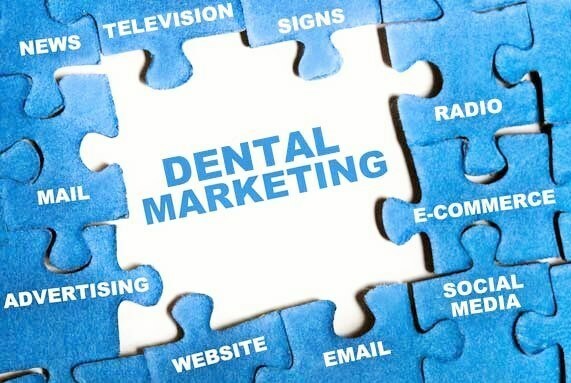 This entry was posted in Dental loupes user guide | Schultz Dental surgical blogBy Roger Jing On Sep 28, 2017 .